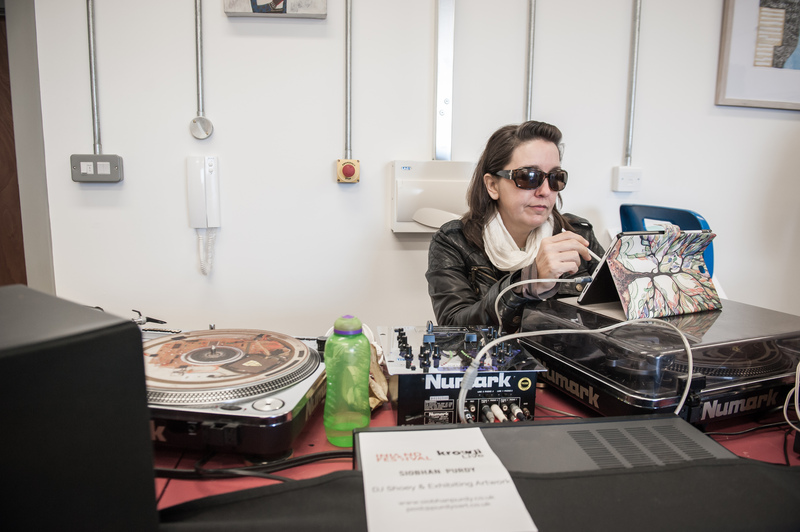 As part of Inland Art Festival: The Future Project, Krowji took part in Krowji LIVE on Saturday 22nd October 2016 to showcase its colourful past, successful present and exciting future. In days gone by, Krowji’s buildings were the home of Redruth Grammar School. First opened in 1907, the school became redundant and then vandalised from 2002 until the premises were bought from the County Council three years later and given a new life. 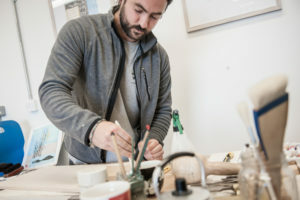 Since then, the former classrooms have gradually been converted into creative workspaces for over 100 artists and makers. 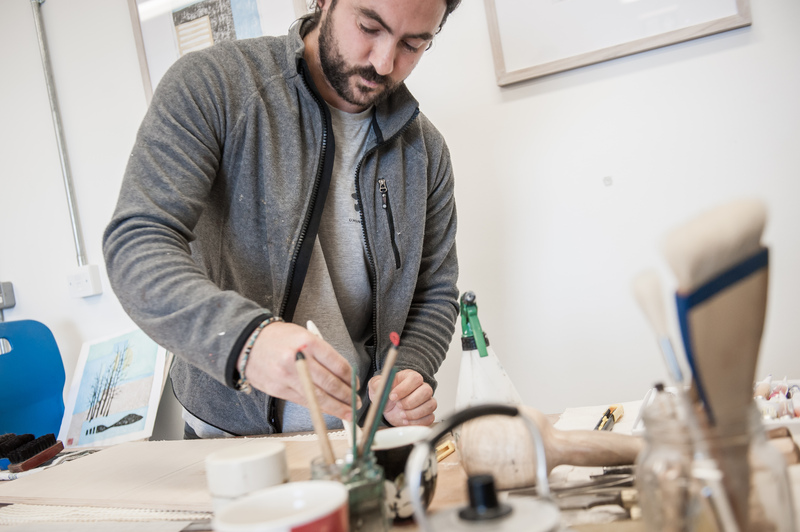 In 2015 the opening of 50 more studios in the new Percy Williams Building enabled the creative community to expand even more. 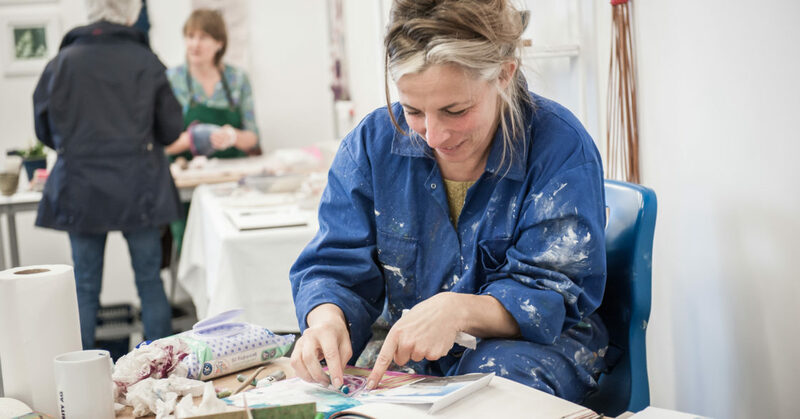 And in 2016, Krowji tenant Claire Stockings-Baker organised an event to present some of the diversity of talent working at Cornwall’s largest creative hub. On Saturday 22nd October 2016 from 10am – 2pm in of one of Krowji’s largest and newest studios, 12 artists and makers demonstrated their creative practices, live. 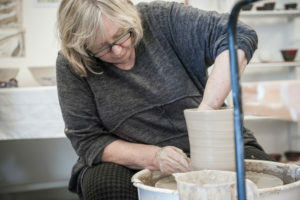 Visitors had the chance to experience a range of art forms including ceramics, jewellery making, illustration, printmaking and bookmaking in action as well as meeting and talking to the makers. 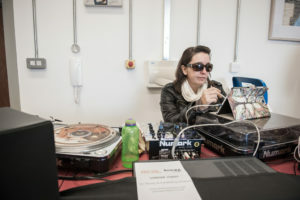 DJ Shoey created an ambient atmosphere and the Melting Pot Café was open for refreshments. 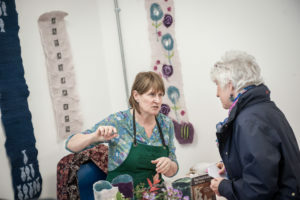 Looking ahead, Krowji LIVE also gave those visiting the site as part of Inland Art Festival’s Connected Communities: Redruth project a chance to think about the future of creative communities in the town. Connected Communities: Redruth was a public workshop which developed visions for the possible future of Redruth’s Fore Street and considered how two communities (Krowji and Kresen Kernow), that have been developed over the last ten years, connect with the town centre. 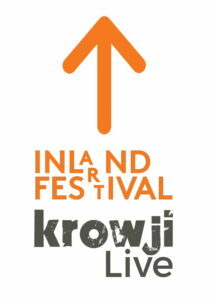 For more information about Inland Art Festival funders and supporters visit their website.